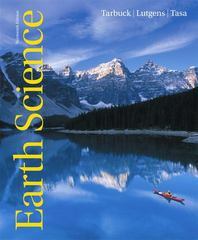 Earth Science 13 Edition Ideal for undergraduates with little or no science background, Earth Science is a student-friendly overview of our physical environment that offers balanced, up-to-date coverage of geology, oceanography, astronomy, and meteorology. The authors focus on readability, with clear, example-driven explanations of concepts and events. The Thirteenth Edition incorporates a new active learning approach, a fully updated visual program, and is available for the first time with MasteringGeology—the most complete, easy-to-use, engaging tutorial and assessment tool available, and also entirely new to the Earth science course.